Thai Orchid on Bennett’s Hill closed some months ago and Isaac’s have spent the time since glamming it up. The interior is bright, modern, luxe. I love the large spotlights, but the tacky wine bottle shaped candles add nothing and should go. We headed in for dinner at 9ish on a Friday evening and there were a lot of empty tables – nothing unusual there given it’s been open only a week or so and it was getting quite late for dinner. However what was odd was that we were seated on a sofa for 10 minutes while they got our table ready. No drinks, no nibbles, no explanation as to why we couldn’t go and sit at one of the 15 tables that were free and ready. The myriad staff were seemingly just wondering around titivating napkins. As they have a cocktail list we thought we better try it out. The Mojito was passable but I had the worst Old Fashioned I’ve ever had – I think it had orange juice in, the bartender must’ve misunderstood the recipe. We also had an “East of India” cocktail which had little flavour. I think the cocktails were done to a cost budget that didn’t include enough booze. It took 30 minutes from entering to getting drinks. Another 10 minutes for poppadoms, which were followed too quickly by starters so the waiter started to clear unfinished plates of poppadoms while we were still eating them. A basket of poppadoms was £4 and I counted one and a half broken in to quarters (six pieces). Ordering the food had been somewhat of a challenge. I should say that the waitress was very charming and I’m sure in her native Spain she would’ve been very proficient, but here we had to point at things in the menu so she could write them down. It was a Manuel moment (“Hammer, oh… Oh, hamma sandwich!”). She made two trips with bottles of water instead of jugs of water, and my main was incorrect when it finally arrived. 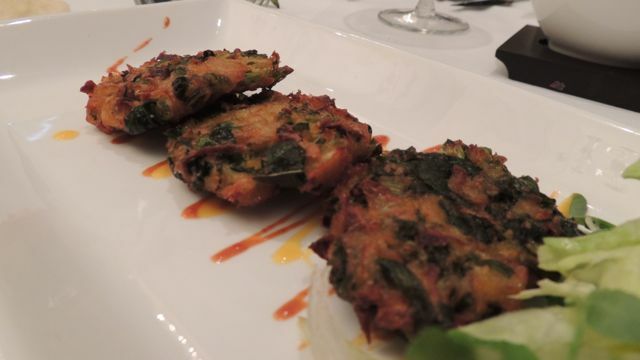 For starters we had Palak Onion Pakora which was nicely spiced although probably not quite crisp enough. I had the Mirchi Paneer which I usually love, but here the paneer itself was very bland and the bulk of the dish was made up by peppers. Not unpleasant, just unexciting. The side salads on the starter platers were nice and were even dressed. Once we’d finished our starters the remnants remained on their plates for a good 15 minutes before they were cleared. I had ordered a Chicken Biryani for my main, but what arrived was Chicken Bhuna. We started to have the conversation about changing it but I’d lost the will by then as it’d been over an hour since we’d gone in. So I ate my average Bhuna and had a portion of steamed rice on the side. We had a Chicken Makhani arrive that was barely warm so that went back to the kitchen, when it reappeared it was a few degrees warmer but certainly not hot, again we’d lost the will to complain. They did say they would take it off the bill, although they forgot so we we had to remind them and get the bill changed. 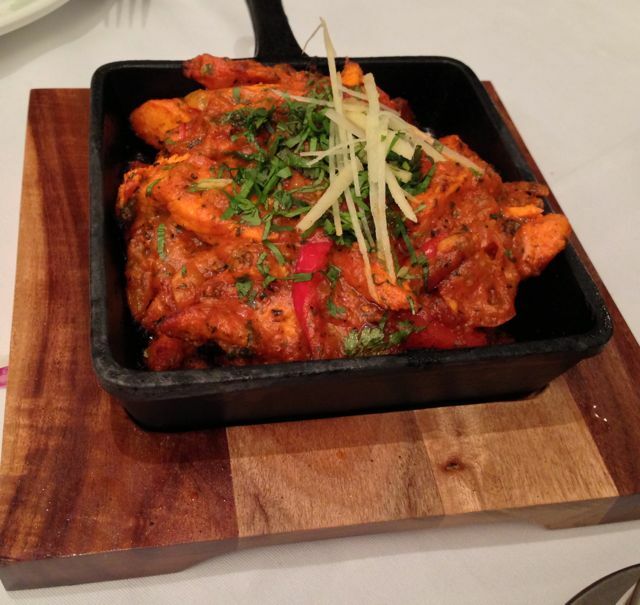 The Chicken Tawa (sizzling chicken in an iron pan) was nice, probably the most successful of the dishes we tried. We had an undercooked doughy onion kulcher on the side too. The blurb at the front of the menu styles the place as “the ultimate in authentic Indian dining”, big words that simply not lived up to. The place is lovely looking, but it just doesn’t deliver. I noticed the table of eight guys next to us ostentatiously had two magnums of Laurent Perrier Rose and I thought that summed the place up – Indian food and rose champagne? 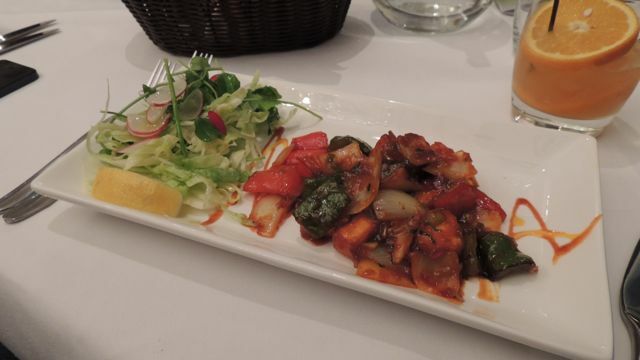 Two courses with poppadoms and wine will set you back about £35 a head. We’ve probably visited too soon after the opening, places often need a few weeks to settle in. So we might give it another go later. In the meantime, if you’ve been, do let us know what you think. 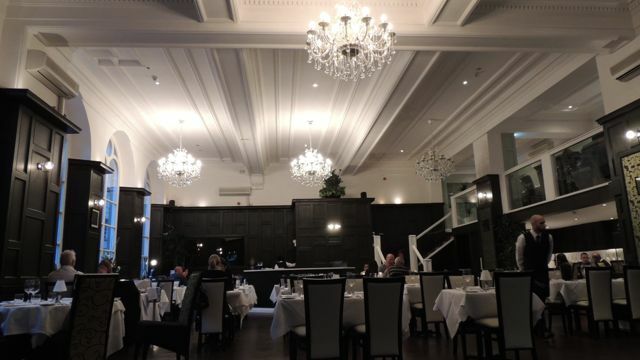 This entry was posted in Area: Colmore Business District, Cuisine: Indian, Price: Average, Price: Get your dad to pay - above average, Venue type: Restaurant and tagged Birmingham Restaurant, birmingham restaurant review, birmingham review, indian birmingham, isaacs birmingham, Out In Birmingham, out in brum, OutInBrum, restaurant review, Where To Go In Birmingham. Bookmark the permalink. 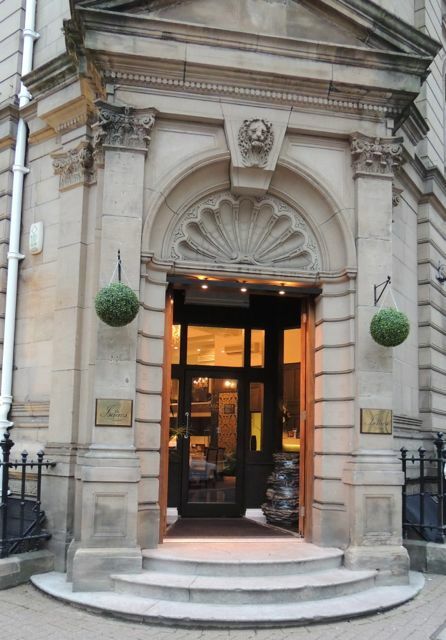 The worst restaurant I have ever been to the manager extremely rude and very dismissive and refused to allow my disabled friend in a wheelchair access as he “couldn’t find his disabled ramps” told us to “just go away” absolutely disgusted!!!! OMG! That’s dreadful. Have you pursued it with the restaurant? You should! Email them!